Looking for minutes from a previous meeting? Come join the Canning River Regional Park Volunteers and Bannister Creek Catchment Group as they Team Up to Clean Up! Perth NRM invites you to register now for this exciting seminar on the management of the Swan Region’s marine and coastal environments. Perth is renowned for its coastal lifestyle but the increasing population, climate change and a range of other threats will place further pressure on the shoreline and marine environments. Collaboration between community, government, researchers and consultants to share information and effective management practices will help to ensure these unique environments can be enjoyed by future generations of West Australians. Speakers from a range of disciplines will present on recent research, management and community programs. Delegates will hear about coastal dynamics from Prof Ryan Lowe and Dr John Statton will share his research on innovative methods for cultivation and restoration of seagrasses. Alison Dorn from Tangaroa Blue will inspire delegates to continue to act on marine debris and Meg Anklesaria, Cambridge Coastcare, will encourage Coastcare Groups and land managers to trial innovative new approaches to monitoring their coastal areas, while Adam Harris from Cockburn City Council will share leading practice for planning on-ground works. David Knowles, from Spineless Wonders, will describe the significant role of Arthropods (macroinvertebrates) in our coastal environments, and Dr Erica Arora will describe the impact of wind on the physiology of native plants and pollinators and share information on restoration of coastal ecosystems. Melissa Evans from DBCA will present on the complexity of managing our coastal islands balancing increasing visitation while maintaining conservation values. Participants are encouraged to register by Wednesday 27 February 2019. You can register at https://www.trybooking.com/BALYI or alternatively email [email protected] to confirm your place for payment by invoice. The City is running a Public Submissions Workshop presented by Dr Angus Morrison-Saunders, who is an expert in Western Australian Environmental Impact Assessment. Advice will be provided on how to write clear, concise and effective submissions, for proposals that have been advertised for public comment under State and Federal legislation. How to present passionate, well-reasoned and evidence based arguments, and constructive suggestions. This workshop is recommended for anyone who would like to have a say on proposed actions that may have environmental impacts. A single well written public submission can make a big change. The Term 1 South East Sustainable Schools Network Meeting will be held at Piara Waters Primary School on Tuesday 19th March from 3:45pm until 5:30pm. These meetings are a chance for local primary and high school teachers, as well as early childhood educators, to share ideas about the ways they run their classrooms and services sustainably and how they teach children to care for the environment and people. These meetings occur once per term and speakers are invited address sustainability topics that are of most interest to meeting participants. During this meeting you will hear about the inaugural Armadale Arts Bush Trail and how you and your students can be involved! This inspiring project will see around ten ephemeral artworks created from the natural materials of Settlers Common East. The artworks will weave a bush trail of artistic delights to be enjoyed by school groups and the whole community across the two weeks of the Armadale Arts Festival (6 – 19 May). 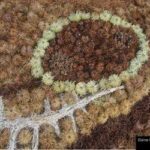 The meeting will provide you with the opportunity to get hands on with nature art, be guided in crafting something special through your schools that will be integrated into the major artwork of the trail designed by land artist Elaine Clocherty and local Elder Vivienne Hansen. The Intergovernmental Panel on Climate Change (IPCC) is the United Nations body for assessing the science related to climate change and what needs to be done. Its Special Report on Global Warming of 1.5°C was approved by governments on 8Th October 2018. • Dr Jatin Kala, Senior Lecturer in Environmental Science, Murdoch University.